It’s whale season! Plan a whale viewing getaway near one of these winning whale watching spots. 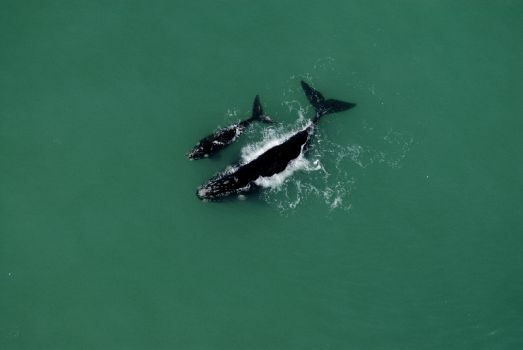 Head for Walker Bay near Hermanus and base yourself up in the Grootbos Private Nature Reserve, to see Southern Right Whales cavorting below in the bay. 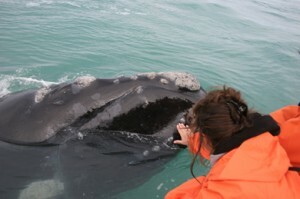 Guides at Grootbos will also take you on wonderfully exhilarating boat tours to view whales, seals and more. On the shores of Walker Bay – a short drive from Grootbos – is rugged Gansbaai, where whale sightings are spectacular along the shoreline. With Grootbos as your base, you’ll be perfectly situated for whale watching, as well as guided fynbos drives in the beautiful reserve. Popular Hermanus, which draws huge crowds to enjoy its phenomenal whale sightings, is just a short drive from Grootbos. De Hoop is always a paradise, but during whale season there’s even more to enjoy in this gem of a coastal reserve. Whale season is already open at De Hoop, and its exquisitely sculpted ivory dunes make perfect sighting posts for eager whale watchers. 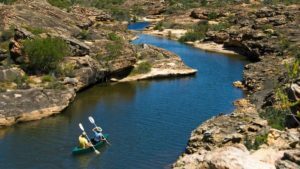 And if ever you tire of watching the southern rights, there’s plenty else besides in the reserve – hike, bike, swim, snorkel, and view small wildlife and birds. 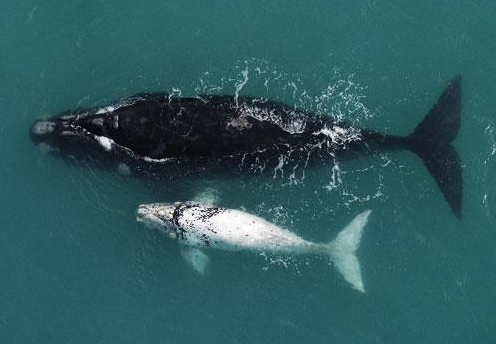 De Mond is another great whale watching spot, tucked snugly between pretty Arniston and Struisbaai – about 26 km south-east of Bredasdorp. 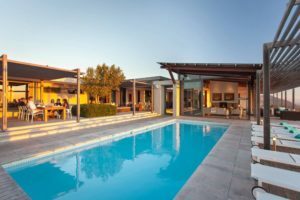 Base yourself at the Arniston Spa Hotel , and day-trip to the reserve where there’s beauty galore – dune milkwood forests, saltmarshes, and dune fynbos. Spot the rare African black oystercatcher, masses of other birds and, of course, whales! Mail us for more information, or for bookings at these and other getaways, or call +27 21 797-7122. Seventy whales in a single sighting, wow! That’s utterly amazing, and one could hardly wish for a better viewing post than those pristine milk-white dunes.